Memories oh memories.. Yes I did have romantic encounters here years ago and a visit to Maxi’s has always been whimsical ever since. My intention to write about it was strong ever since as it has been one of my few favorites since the dawn era of my culinary escapades. This is the account of my last visit. Maxi’s is simply beautiful. Your way in by car would be a fascinating short trip to witness the awesomeness of the whole environment – a beautiful colonial house in the middle probably from art deco era, a huge garden on the left side used for wedding ceremonies, and trees all over the place. 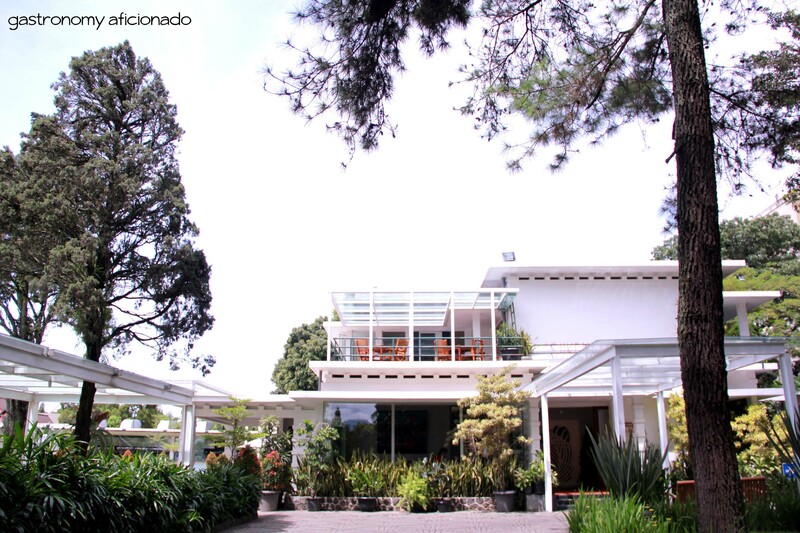 It’s Bandung, it’s leafy, and Maxi’s has been renowned as a restaurant that serves great food. What more can you ask? 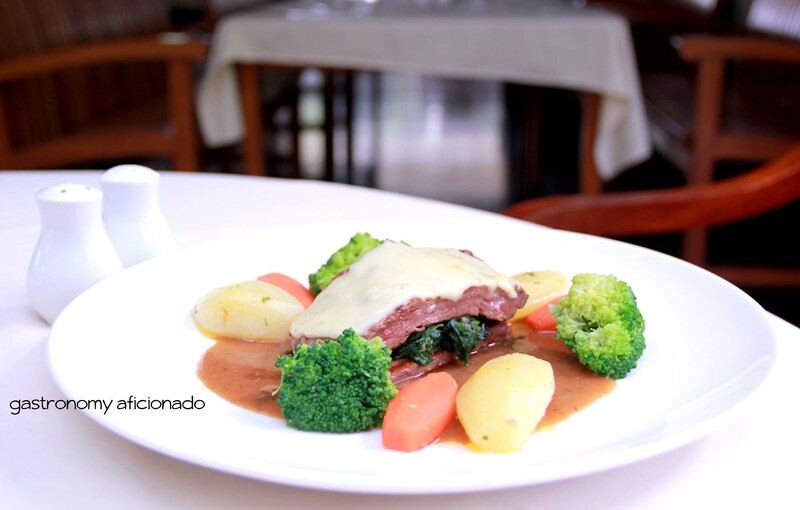 I have ventured through some of its steak dishes – refined and cooked well. Much to my surprise though that the price now becomes more expensive. Anyway, with a vast selection of steak, Italian pasta, and some Oriental dishes, Maxi’s has been a powerful contender for Bandung’s rarity in good upscale restaurants. Bandung as we know it is a city for students with supposedly lower prices for food compared with Jakarta. Now that the access with Jakarta has been opened wide since 2005 and that democracy fails to provide steady price, even the hawkers of Bandung had to put a hefty price on their dishes. I remember that during my bachelor time a few years ago, an average spending of IDR 25,000 was still considered a special treat. But now right when I see the price tags at Maxi’s, that kind of spending would only get you a good deal of appetizer only. Anyway, Maxi’s still manages to deliver the best taste as I can remember even though last time it took like forever to take the food out of the kitchen. I had my usual treat of filletto di pesce a la Romana or a dory fillet coated with cheese and broiled egg served with butter sauce, pickled vegetables, and potatoes. Even though the presentation may not be much but after all, it’s the taste that matters. 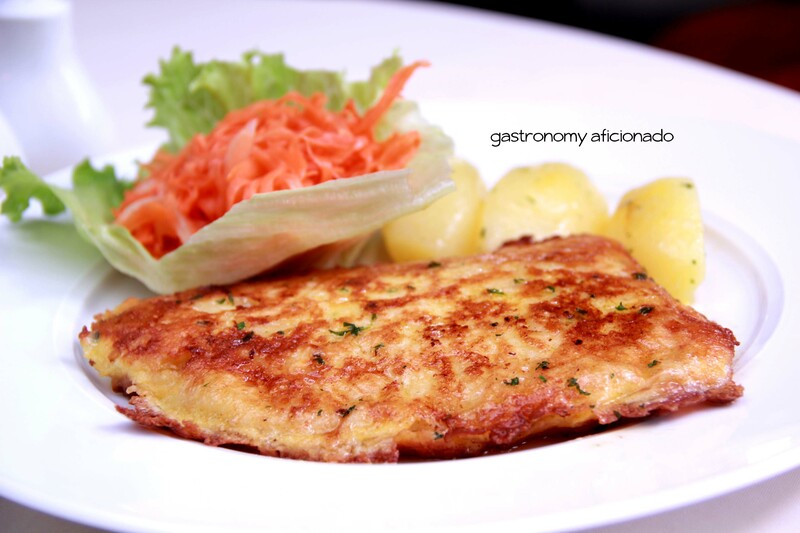 The silky rich dory coated with the elegance of cheese and broiled egg was indeed satisfying and rich as credit also goes for the buttery sauce. To balance it all, Maxi’s put a well-julienned pickled carrots to give a nice sour taste. Very satisfying! My wife on the other hand tried Maxi’s signature beef dish namely filletto a la Maxi’s that consists of a double decked medium-well local tenderloin filled in-between with spinach and topped with gratinated mozzarella. The presentation was quite illustrious as it resembles a green garden of vegetables such as glazed carrots, broccoli, potatoes, parsley, and the good old mushroom sauce. The tenderness of the meat was commendable and the degree of meat temperature was exactly as ordered. The taste was quite complex as she had to handle different types of ingredients but it was another satisfying journey for us. The cons of my visit that time were the amount of flies at the outdoor dining area and the staffs did nothing about it or the restaurant to invest the insect exterminator thing for this matter. Also, they should also put the no smoking sign at indoor dining area as I still found some heartless customers doing it without bothering what other people think. The serving time took forever even though it was almost lunch time. I found that Maxi’s has become quite ambitious with their long opening hours but even for two dishes only, it took like around more than half an hour. The good thing was the dishes tasted good and came in at the right temperature. At this point I don’t really know whether Maxi’s has raised the bar of excellence or not since I found that only the quality of the dishes that’s still consistent but they appear not to really bother about the rest. As restaurants now grow rapidly in quality, variety, and their social media skills, Maxi’s appears rather out-of-date or perhaps still confident as the old guard Western cuisine in Bandung. We shall see where Maxi’s would be at a few years from now but I do hope solemnly that they will survive the battle and came out as the victor. After all, Maxi’s has always been sentimental for me. 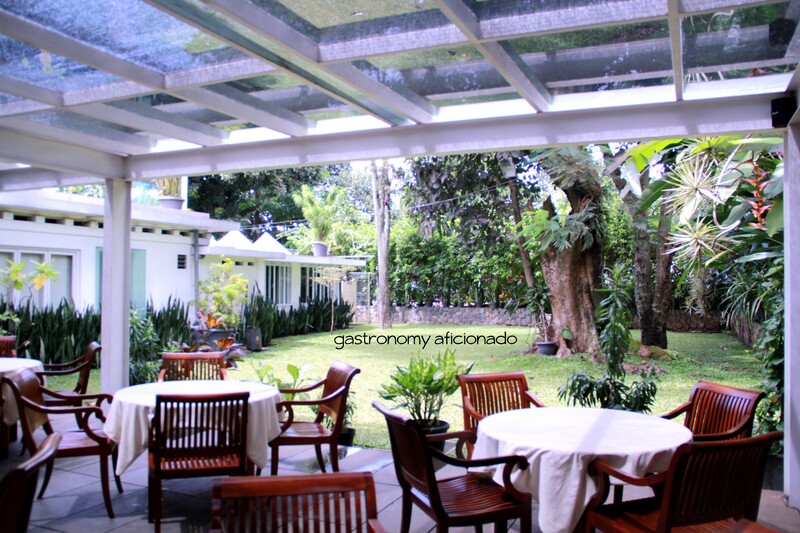 Atmosphere: One of the finest and rarest in Bandung. A complete package of refined old colonial house with a beautiful garden. Quite unfortunate they keep flies as pet. Ambiance: Should have been peaceful with a good lounge song. Nope, instead they picked strange tunes of rock music for this kind of atmosphere. Well anyway, it’s basically conversational if it wasn’t for the music. Service: Actually good but serving time was a bit shabby last time.